Join our team! Apply here. 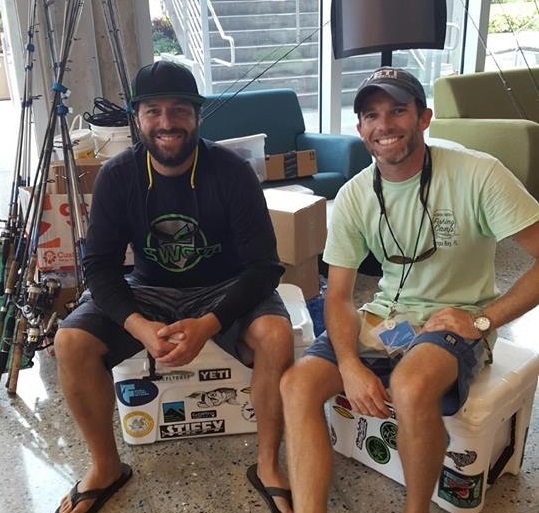 Parker Rabow founded Florida Fantasy Fishing camp in 2012 after completing an MBA and MS in Entrepreneurship from the University of South Florida. 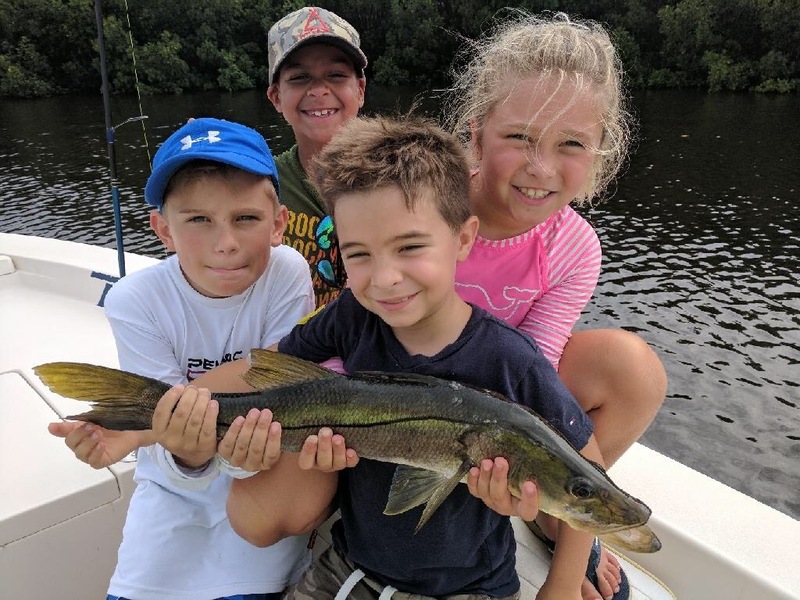 His passion for fishing, conservation and education led him to create the first fishing camp exclusively for kids in Florida. He was born and raised in Tampa. After attending Jesuit High School, he studied small business management and entrepreneurship at Florida State University. 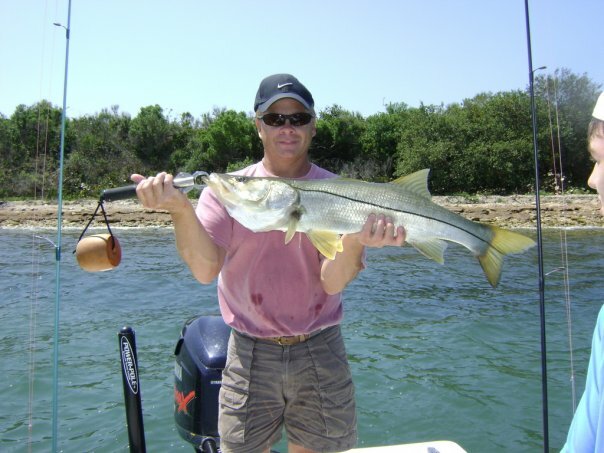 Captain Rick has been fishing the waters of Tampa Bay and Boca Grande for over 20 years! He is an excellent instructor and world-class fisherman. 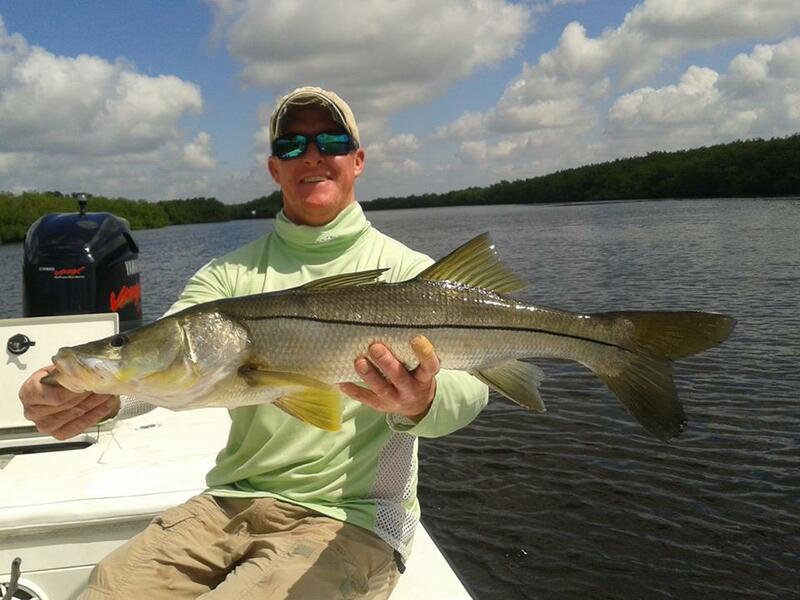 He specializes in tarpon and snook, but also loves targeting redfish and trout. Fishing out of a comfortable 23′ Dorado with a full tower, campers and clients alike feel secure while catching the fish of a lifetime! 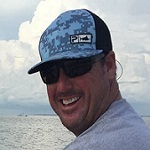 Captain Tim is an accomplished tournament angler and fishing guide in the Tampa Bay Area. 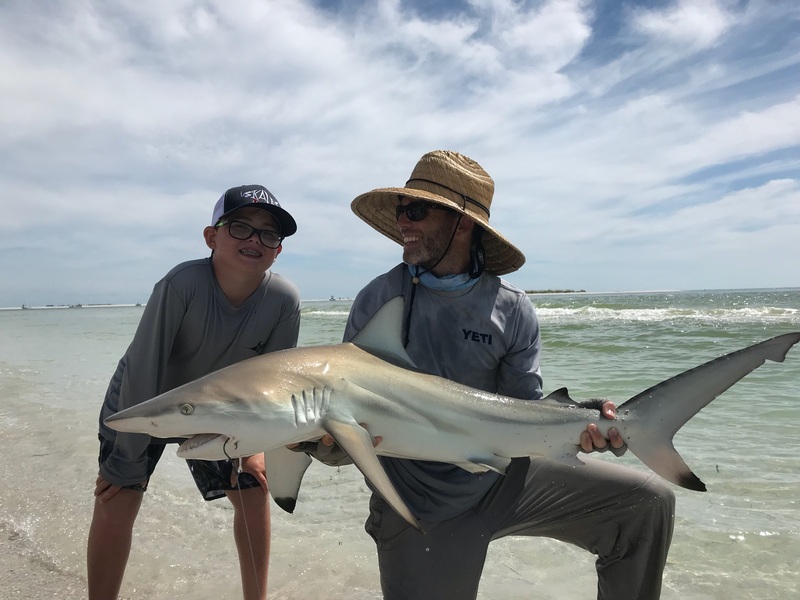 Specializing in live bait, artificial and fly, Tim excels in teaching important skills and concepts to help young anglers grow into excellent fishermen. 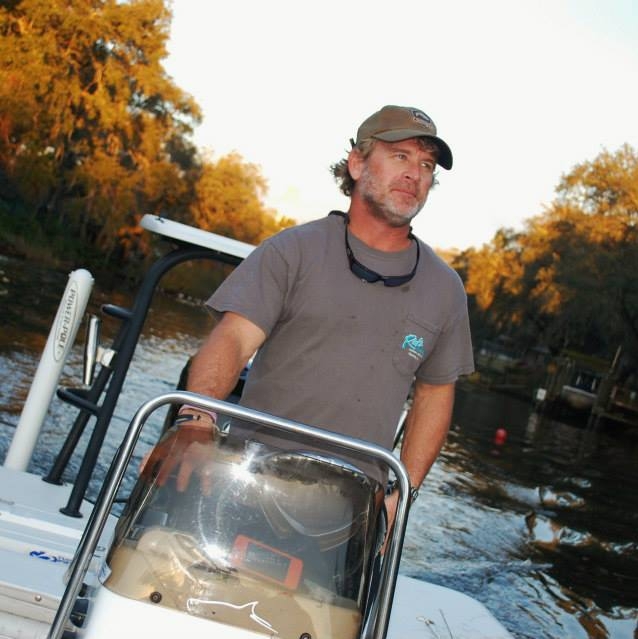 Depending the conditions and circumstances, Capt Tim utilizes both his large bay boat and smaller flats skiff. Captain Oliver O’Riordan decided 15 years ago to take his angling experience, strengths and knowledge to a professional level. He became a U.S.C.G. licensed Captain and opened up shop! 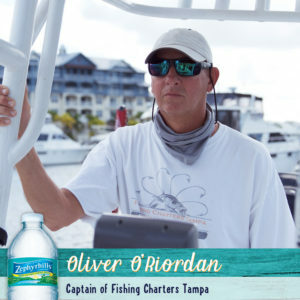 His love for Tampa Bay, its beauty and its incredible fishing opportunities has allowed Captain Oliver to offer fishing trips of a lifetime to individuals seeking the saltwater angling experience. 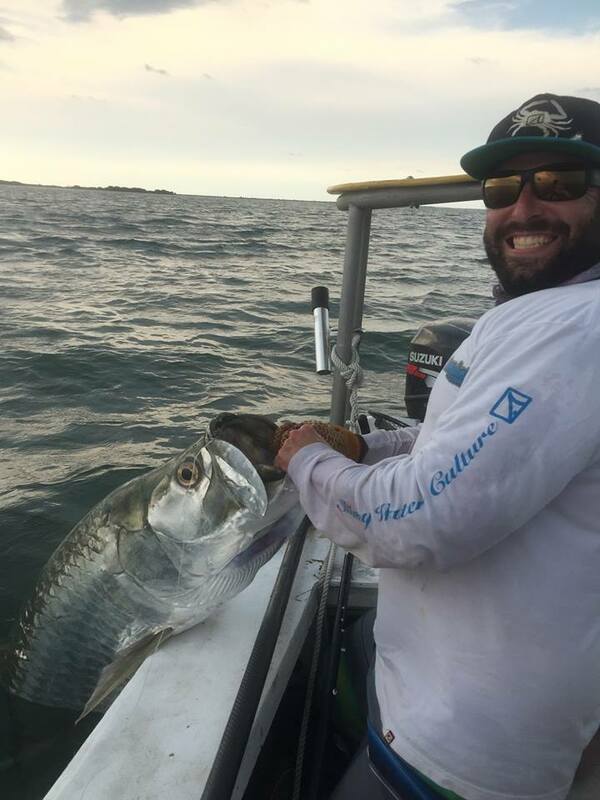 He specializes in light tackle, trolling, and bottom fishing in search of Tarpon, Snook, Redfish, Trout, Cobia, Snapper, Grouper, Kingfish, Sharks, Tripletail, Permit, Pompano, and Mackerel. He loves sharing as much fishing and local knowledge as possible on his trips. A firm believer in conservation, Captain O is an advocate for proper catch and release techniques. 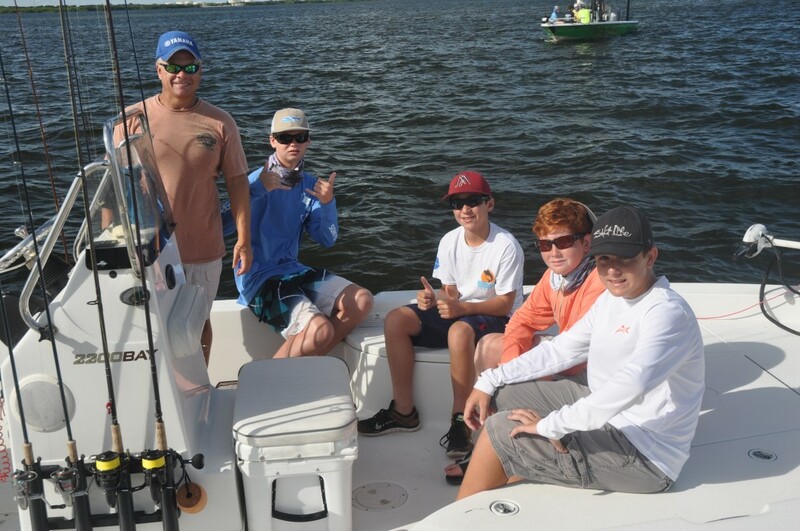 He loves passing these values on to young anglers and developing important habits when out on the water. Captain Oliver is perfect for teaching campers how to consistent land monster fish. 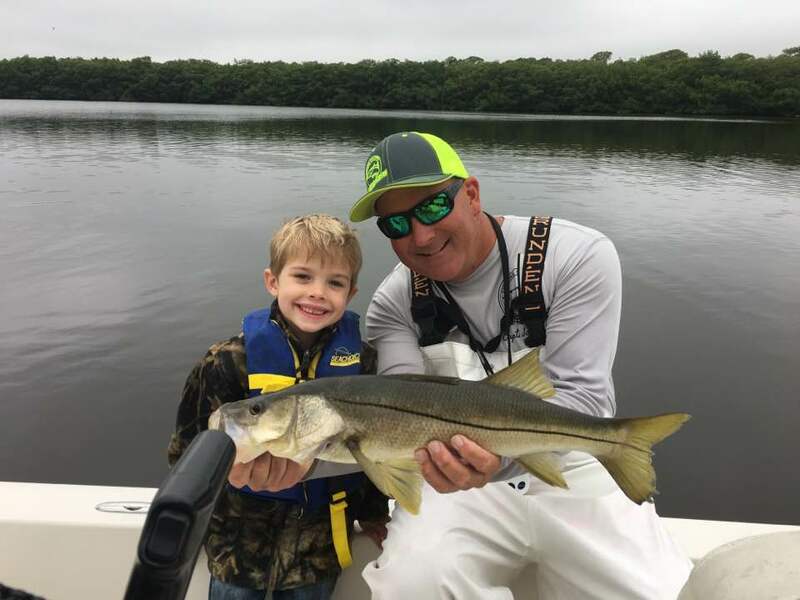 A native of Tampa Bay, Captain Wes Burns has logged a lifetime of experience on the water of Tampa Bay as a fishing guide. His passion for fishing comes through the work he does both on and off the water. He prides himself at finding and catching all the main species of game fish and giving his clients the best fishing experience. 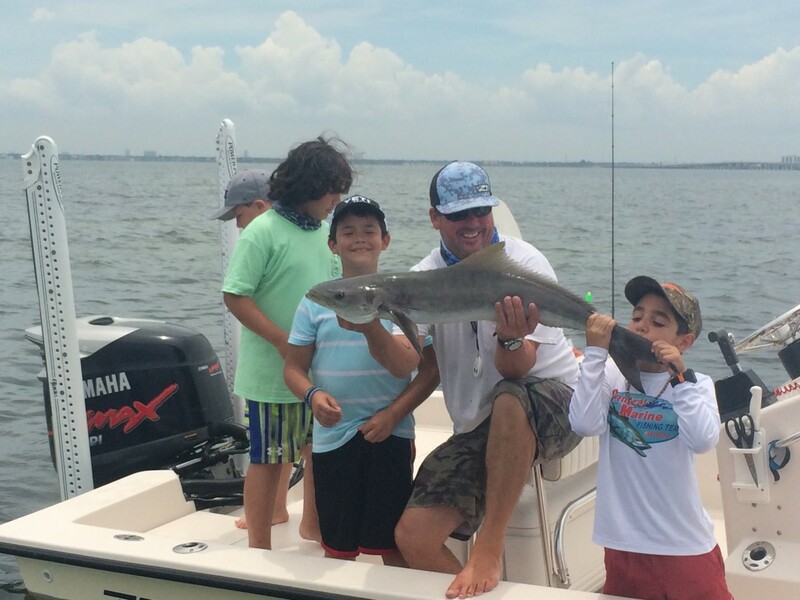 Captain Wes enjoys passing his skills onto young anglers and loves fishing with his kids. 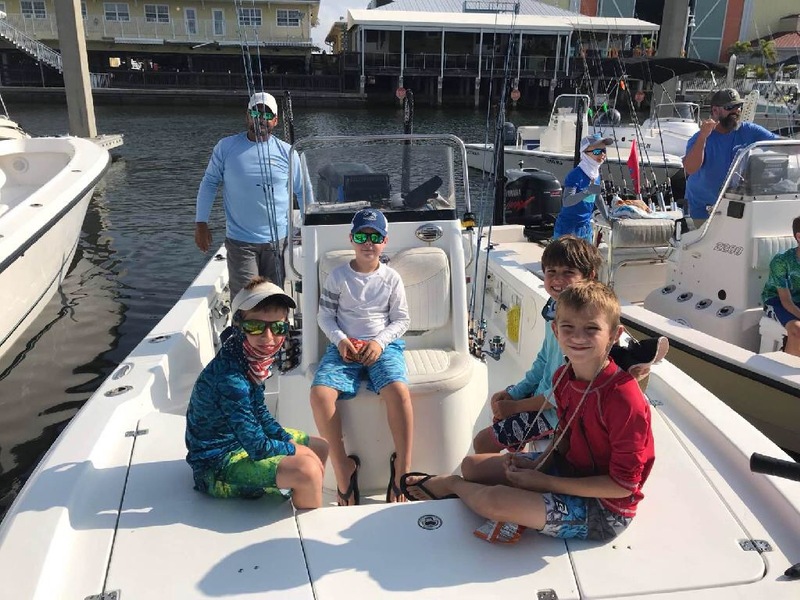 Whether he is teaching lessons or giving seminars, Captain Wes is passionate about passing along valuable fishing a boating know-how to fellow fishermen. He runs charters out of his roomy and pristine 21′ Pathfinder. Captain Anthony is an U.S.C.G. licensed and insured charter captain. He has been fishing and working on commercial vessels for the past 20 years. 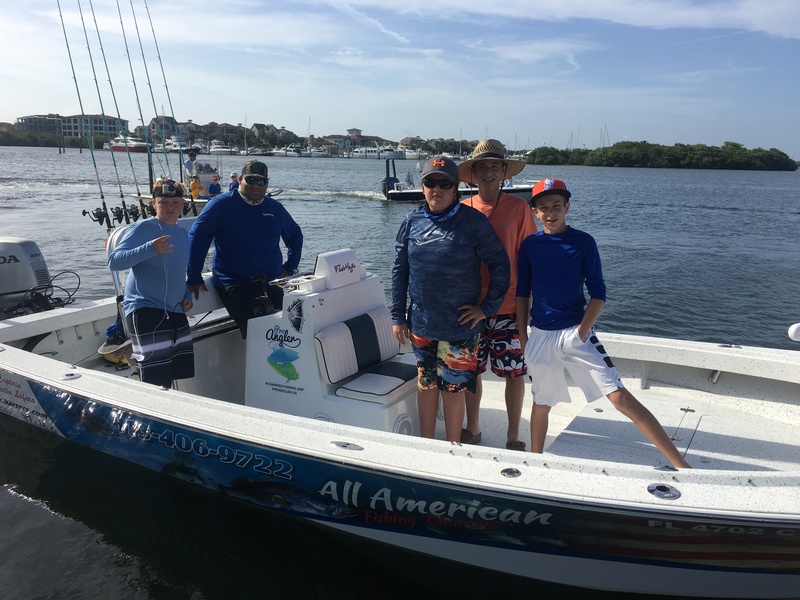 Captain Anthony applies his experience when guiding anglers to various offshore species including various groupers and snappers as well as barracuda, mahi mahi, kingfish and spanish mackerel. 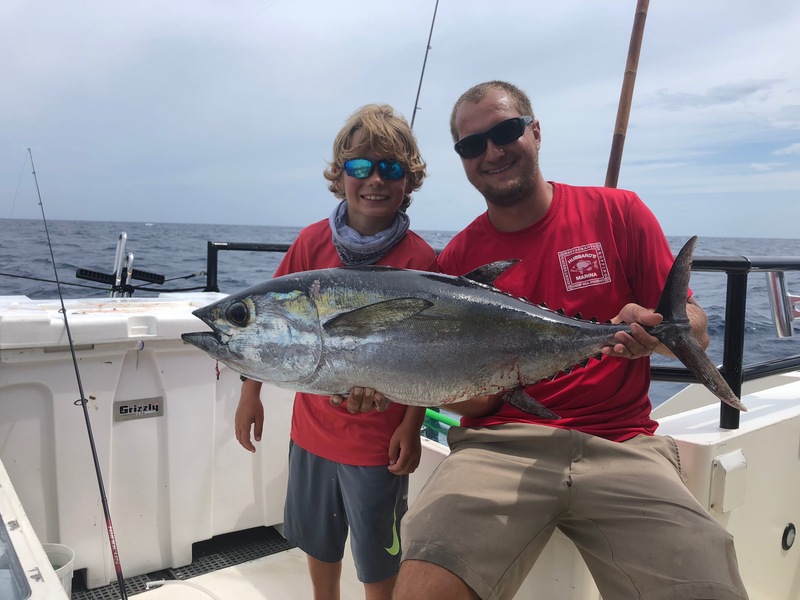 His success as an offshore charter captains allows his clients to catch amazing fish while also gaining the skills needed to be productive anglers beyond the their expedition! Along with First Mate, James Dutton, Captain Anthony fishing aboard a 45 foot open-concept cruiser. The offshore vessel provides plenty of shade, speed, comfort and space for as many as 14 anglers! 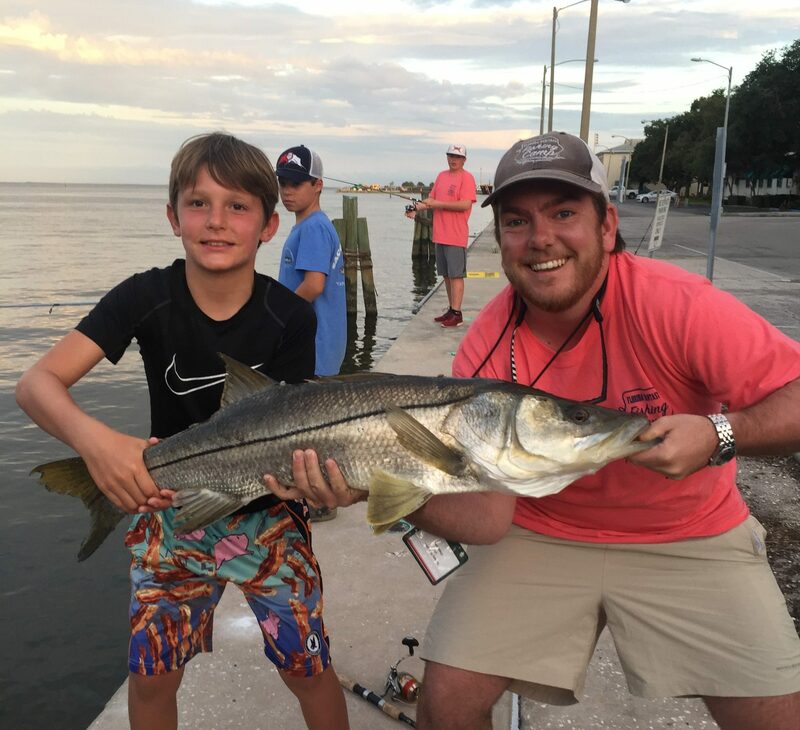 Anglers, young and old, looking for inshore fishing action in the Tampa Bay area need to look no further. Capt. Jay Plastic is a native-born angler who has put his 20 years of knowledge and skills on the local waters to work. As a highly motivated, experienced skipper, Capt. Jay Plastic, is committed to providing the best possible fishing trip every time out. Everyone from first timers through to experienced anglers can rest assured that he provide a real fishing experience. His boat of choice these days is the 22’ Pathfinder Tournament Edition boat. This boat is very comfortable, has plenty of storage and bait wells and handles the seas impressively. You can always expect Capt. Jay’s boat to be clean and organized with plenty of extra storage for anything you might bring. Most days are spent on the flats of Tampa Bay searching for Snook and Redfish, but we are definitely not set on only fishing there. Capt. 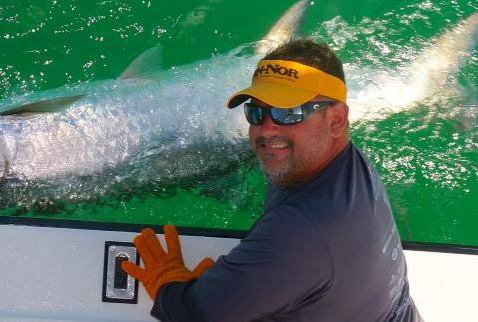 Jay has great knowledge of the fishing from Tarpon Springs to Boca Grande. 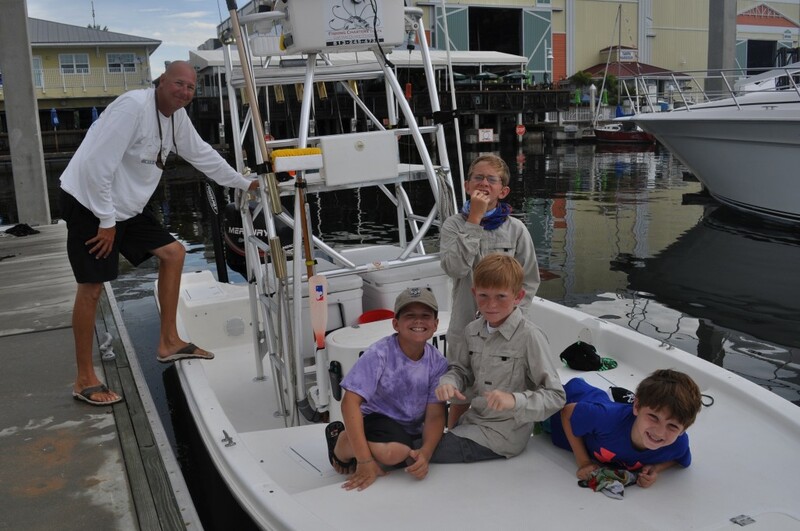 Captain Justin Lofaro brings a great mix of professional tournament experience and family friendly charters to each of his fishing outings. 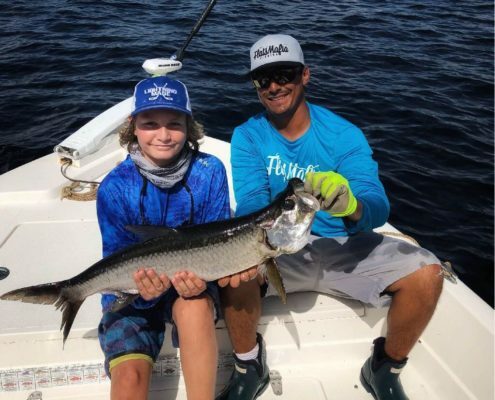 Whether he is targeting redfish, snook or a fun mackerel bite, Captain Justin is excellent at finding fish for the fisherman on his boat. 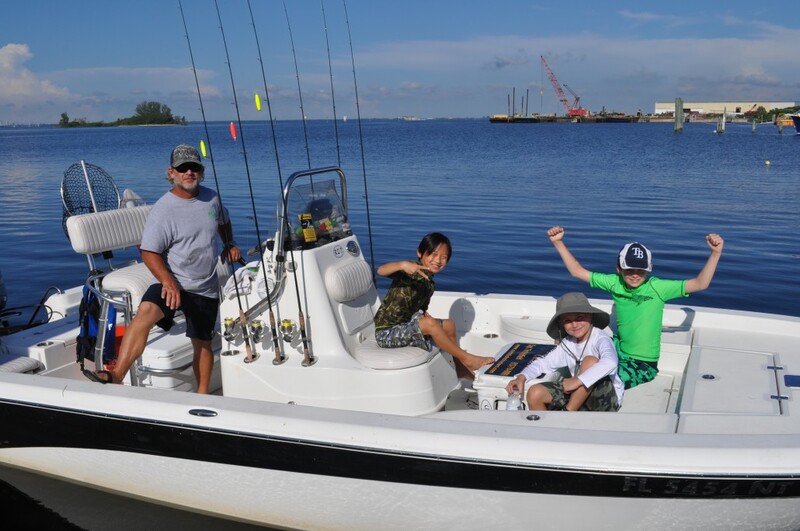 He operates a comfortable bay boat with plenty of space for a relaxing bay fishing experience. 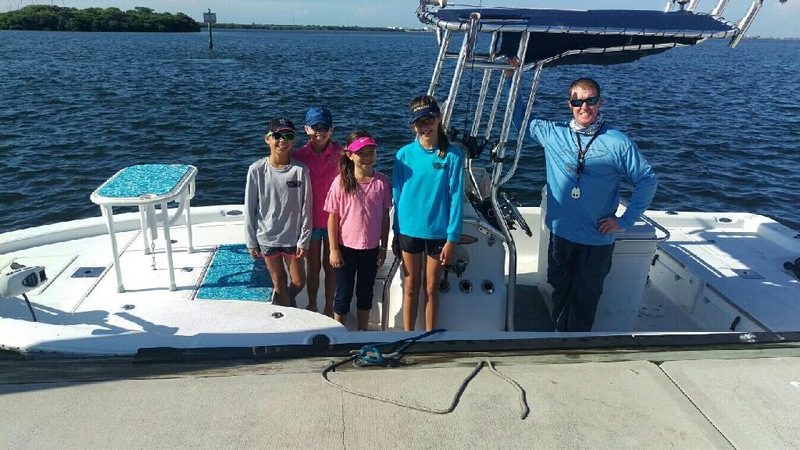 No matter the age or skill level of his clients, Captain Justin takes pride in teaching valuable fishing skills crucial for success. Captain Tony Frankland was born and raised in the Tampa Bay Area. He has 23 years of experience! His passion is catching fish for his clients. His main style of fishing is with live scaled sardines netted before the charter! The fishing tackle is state of art top of the line gear. 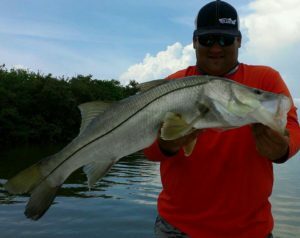 Captain Tony focuses on light tackle inshore fishing gear for inshore fish such as snook, trout, redfish and more. The boat is a 22 foot bay ranger bay boat and he can take up to 4 people on his charters in Tampa bay. 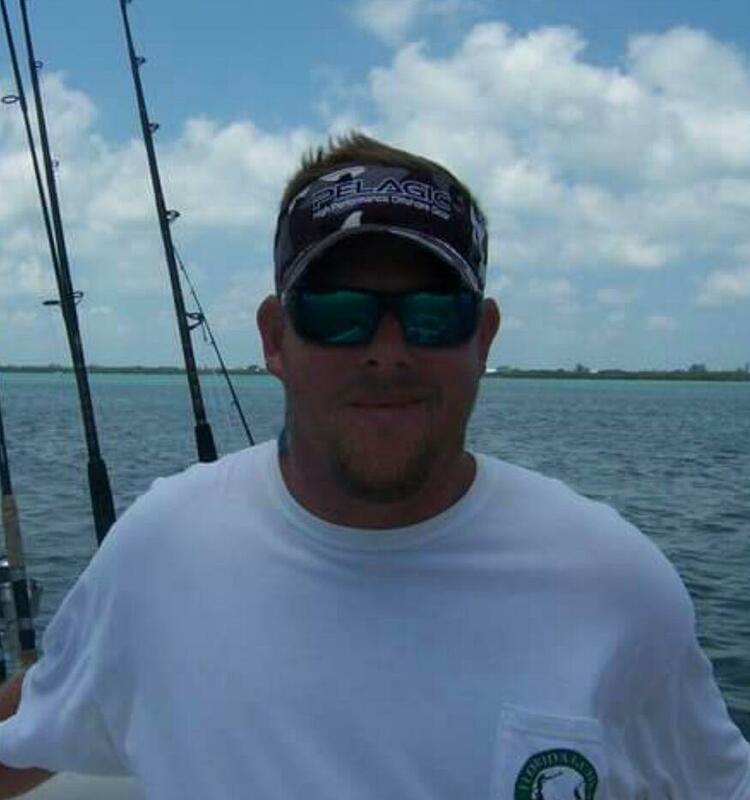 Captain Mike was born and raised in Gulfport, Florida, a small fishing town minutes from Boca Ciega Bay and the Gulf of Mexico. Growing up fishing bass tournaments fueled his passion for fishing. His transition to saltwater fishing further accelerated his knowledge and skill in chasing trophy game fish. In addition to a charter captain, Captain Murray is also professional Firefighter/Paramedic and currently assigned to Tampa Fire Rescue’s fire boat. Specializing in family fishing, Mike an excellent teacher on and off the water! Captain Frankie has been fishing in the Tampa Bay waters for over 38 years. 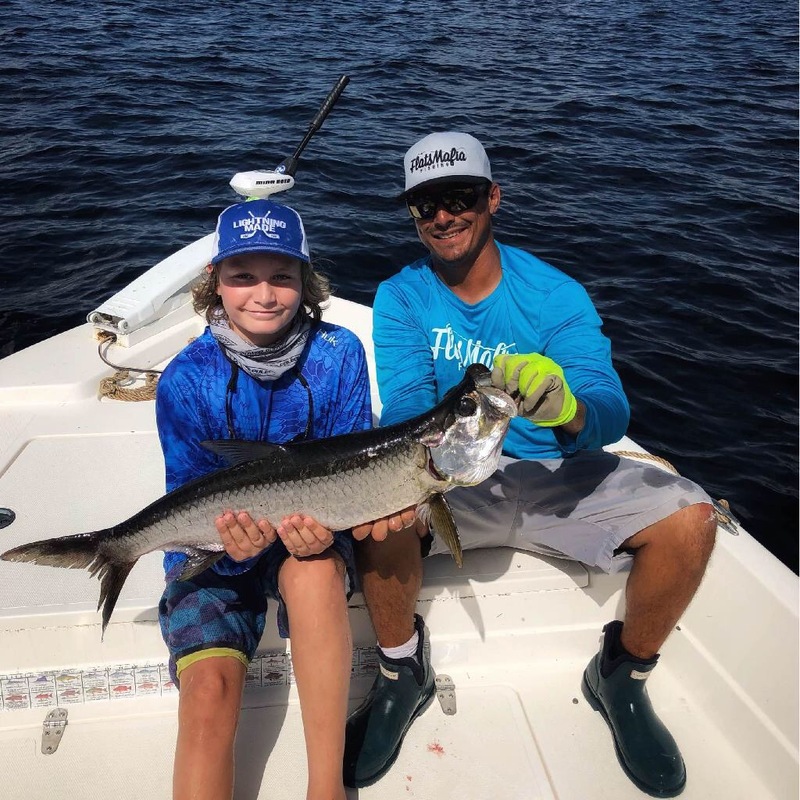 Born and Raised in Tampa Bay, Florida, Frankie dedicated his growing years to fishing the beautiful warm waters of Florida and Tampa Bay coastlines. Frankie’s vast experience of the Tampa Bay waters will help you learn important techniques and experience the joy of fishing. 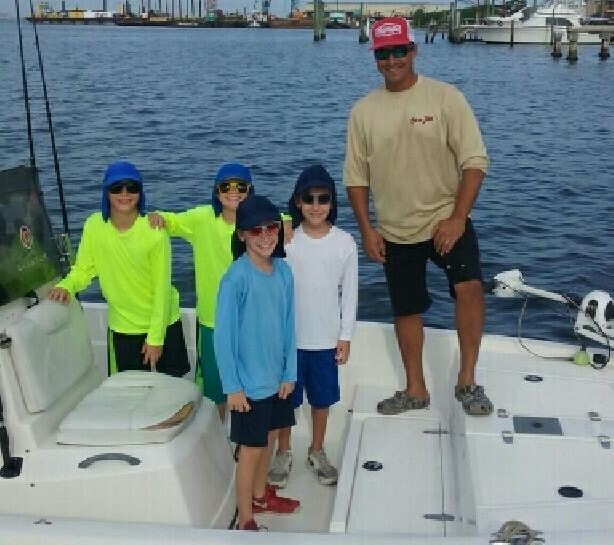 Exploring with and teaching the younger anglers has also become a highlight for Frankie’s fishing career. 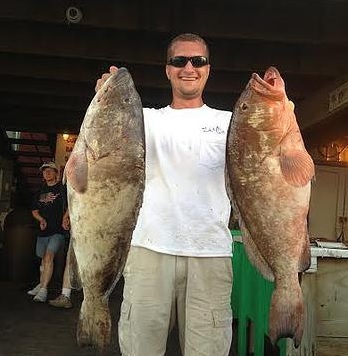 Captain Frank has been fishing our local waters since childhood. 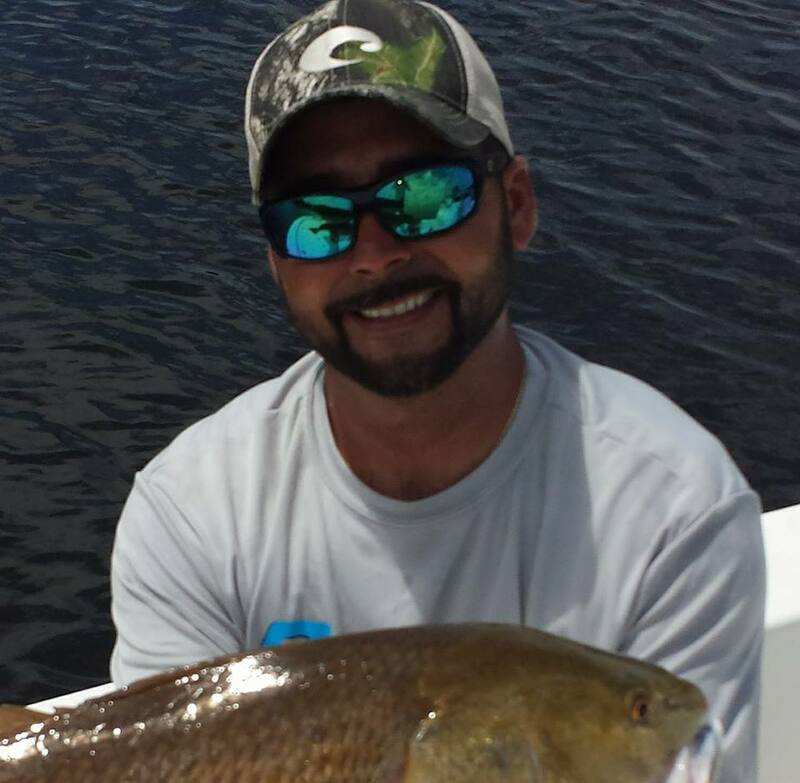 Specializing in winter duck hunts and inshore redfishing, Frank is an accomplished tournament angler as well. In addition to guiding, he is also a firefighter with the Hillsborough County Fire Rescue. 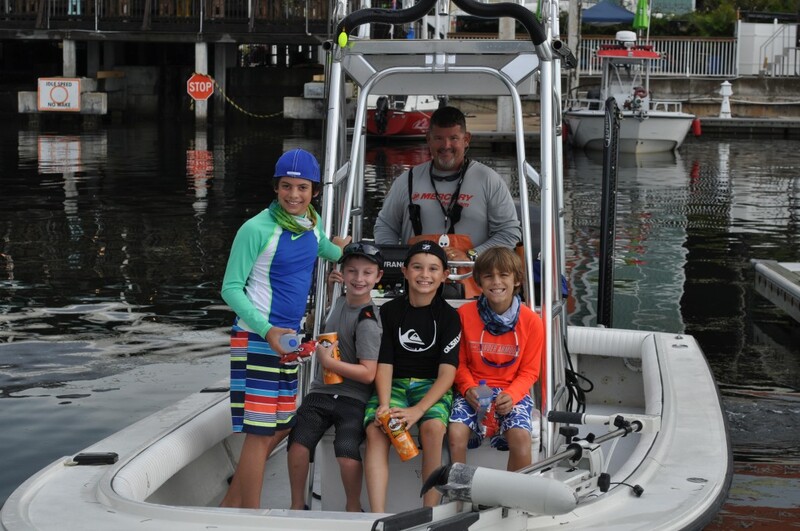 Captain Frank is excellent in fishing anglers of all skill levels and ages! Capt. Craig Weaver was raised on the shores of the Chesapeake Bay and the Atlantic Ocean. His family spent many weekends at his grandparents house which was right on the beach with a beautiful view of the Chesapeake Bay Bridge. Craig’s grandfather also grew up on the Chesapeake, was a career Naval Officer retiring as a Captain, and was an avid fisherman. This is where the passion of the water began. Capt. Craig Weaver is just as excited about fishing today as he ever was as a kid. 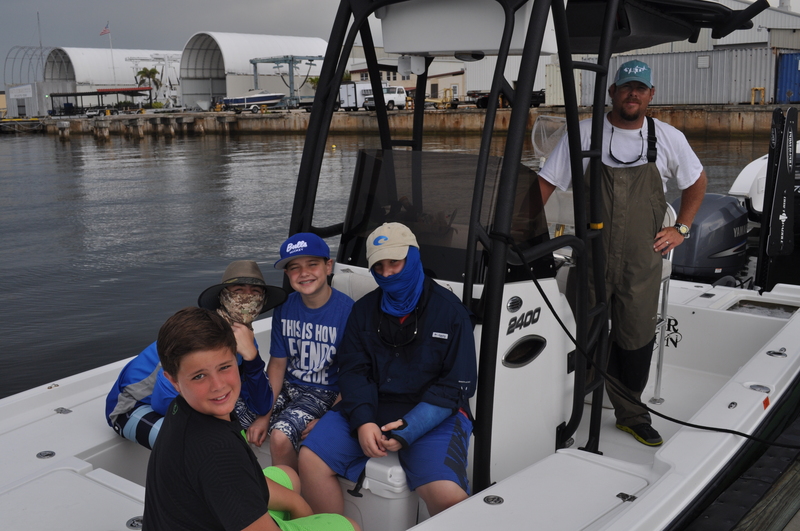 That’s what makes his fishing charters much more than a job, it is his passion to give his clients on his boat a memory that they will remember and cherish. Mark began fishing in the lakes and streams of the Catskills Mountains in upstate New York at a young age. 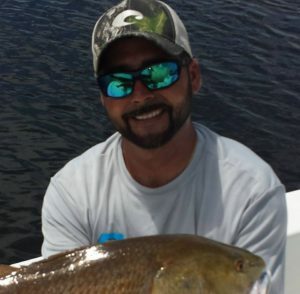 After completing a bachelor’s degree in business and a master’s in education, he brought his passion for fishing down to Florida. 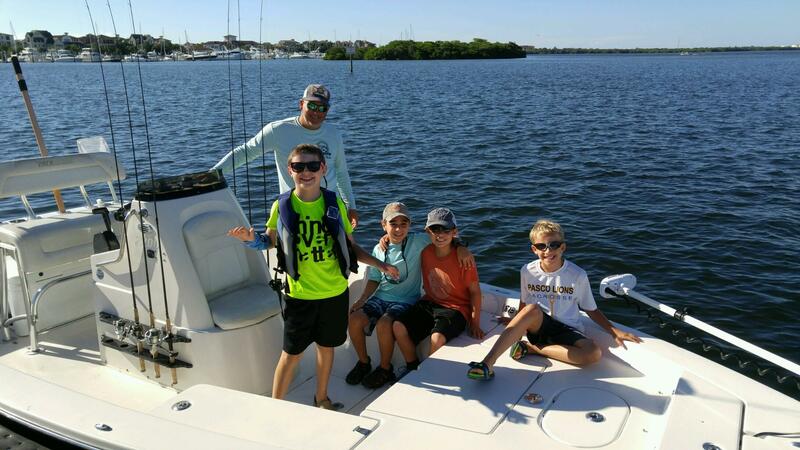 Now an accomplished saltwater angler, Mark brings great enthusiasm and expertise to Florida Fantasy Fishing Camp as summer camp counselor. Clay has been an asset to Florida Fantasy Fishing Camp since 2016. He currently leads staff in both the overnight and offshore programs. 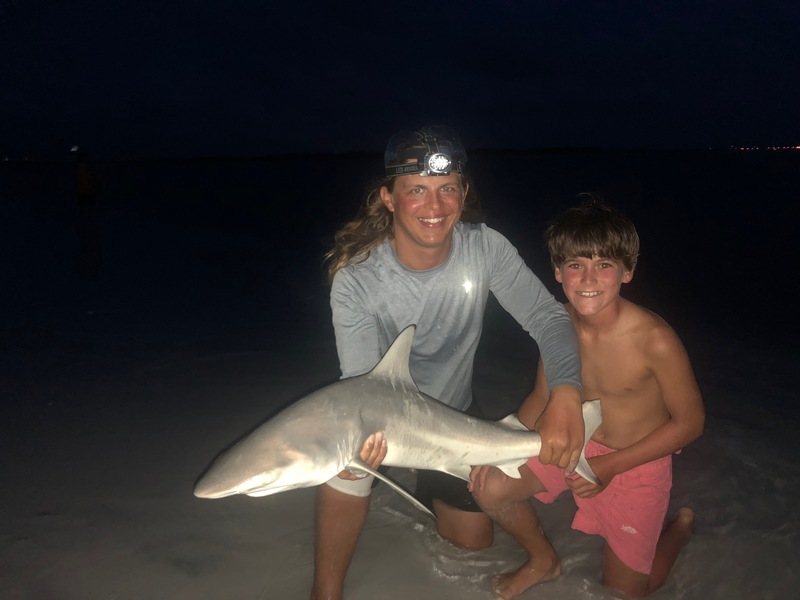 An accomplished saltwater angler, Clay is finishing degrees in Tallahassee while leading fishing camps during the summer. 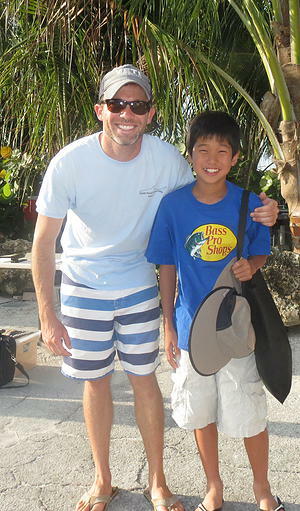 Vince brings a passion for teaching and fishing to our summer camps. While running overnight and inshore camps during the summer, he also manages waterfront activities at the University of South Florida St Petersburg Campus during the school year. As an education major and licensed Coast Guard captain, Vince is a great addition to our staff. 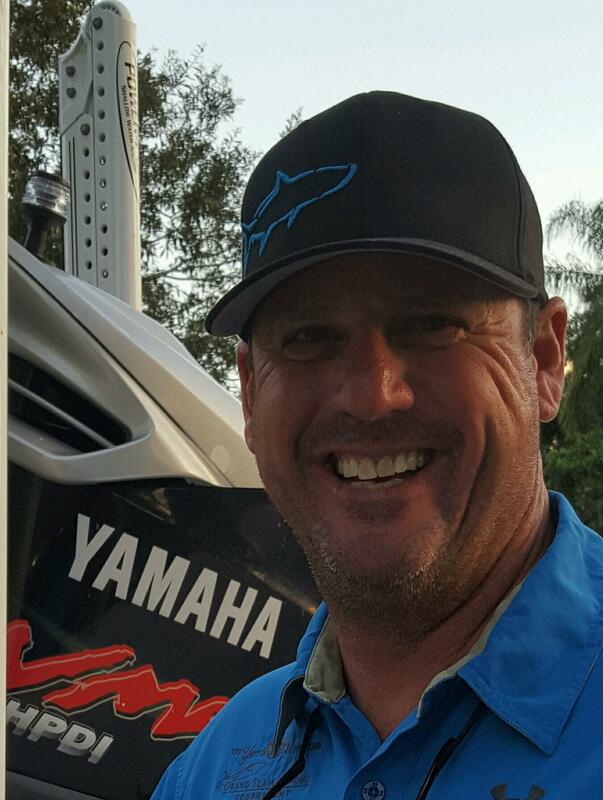 Chris is a welcomed addition to the staff of Florida Fantasy Fishing Camp. 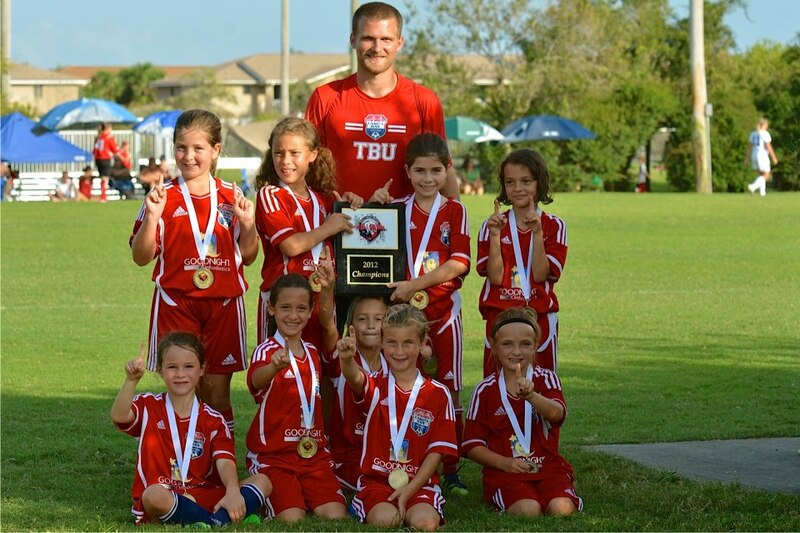 An accomplished soccer player, coach and instructor, he is currently a teacher at St. John’s Episcopal Day School in South Tampa. Chris coaches several youth soccer clubs in the area. 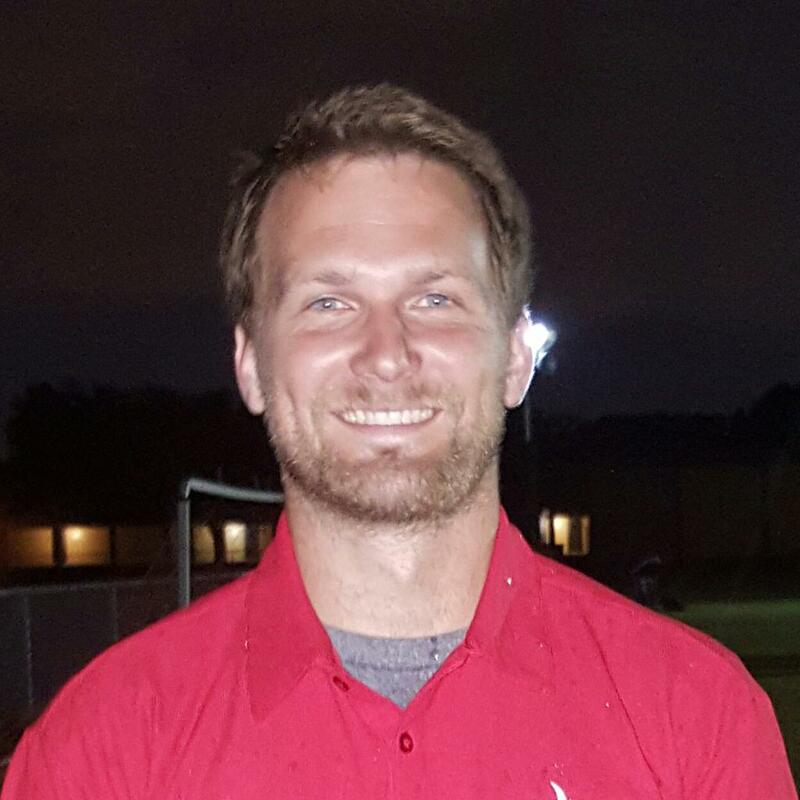 “Coach Chris” has also been involved in high school soccer coaching at Tampa Prep for several years where he has been a huge part of the schools success both as a player and coach. As an elementary educator and camp counselor, Chris brings a wealth of experience in child development.